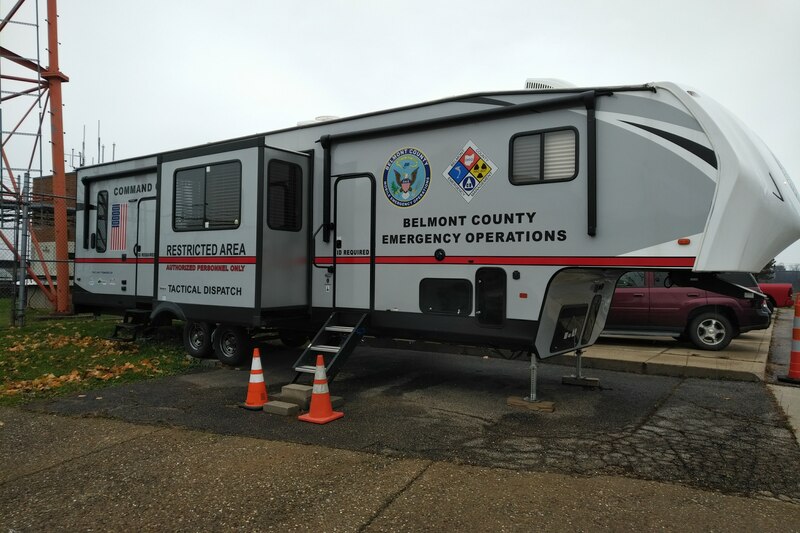 On a cold November afternoon on the outskirts of St. Clairsville, the staff of the Emergency Management Agency (EMA) in Belmont County eagerly cut the ribbon on the county’s new state of the art emergency response vehicle. The process for this long-awaited milestone started more than a year ago when local active driller Ascent Resources held a training drill exercise with the EMA and other first responders in the county. At the end of the day the team involved gathered inside a rickety school bus that was then serving as the county’s command center. It became clear once everyone was inside that there was not enough room to conduct a debriefing, so everyone filed back outside to discuss the day’s events. On the way out of the bus, the staff of Ascent Resources noticed the outdated communications equipment and rusty desks. It was clear that the current county command center was not going to be able to make do any longer. 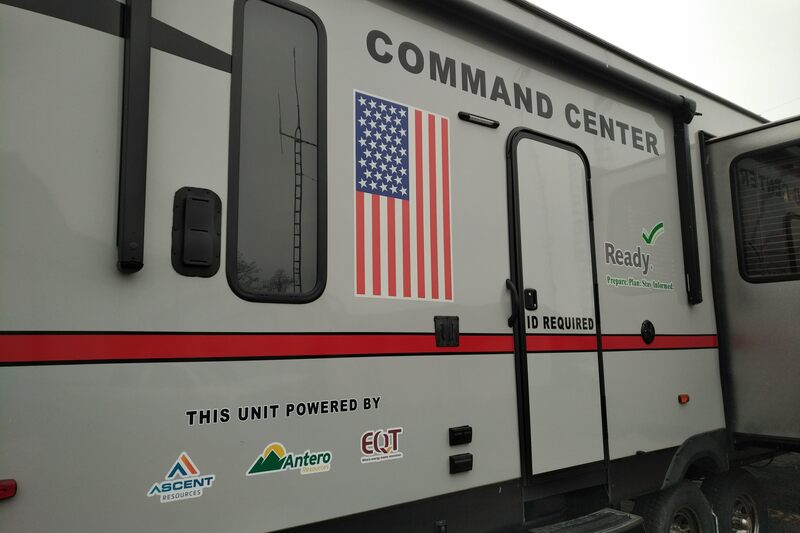 Fast forward a couple of months and Amanda Finn with Ascent Resources had raised nearly $50,000, donated from Ascent Resources along with help from fellow Utica producing companies Antero Resources and EQT, which was enough to purchase and outfit a new command center for Belmont County. The newly acquired Fifth Wheel has 911 dispatch capabilities, a meeting area that can hold up to 20 people [with room to move], a small kitchen, two bathrooms with a shower, as well as flat screens and sleep quarters. While the vehicle will be based in St. Clairsville it can be dispatched by any of the surrounding counties for shared use.